Booking.com offers a wide range of properties for you to choose from. You can search for hotels by rating and price. Each hotel includes a description with photos. Many include reviews from guests who have stayed at these locations. 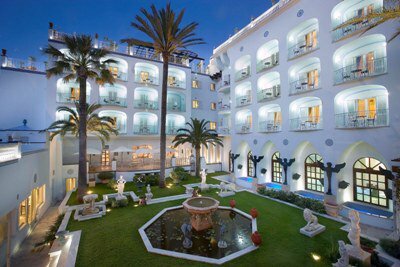 The Hotel Giardino delle Ninfe Ischia is a cheap accommodation in Ischia terme, Italy. The hotel offers the following services: garden park; indoor and outdoor restaurant; snack bar with a terrace and thermal swimming pool.